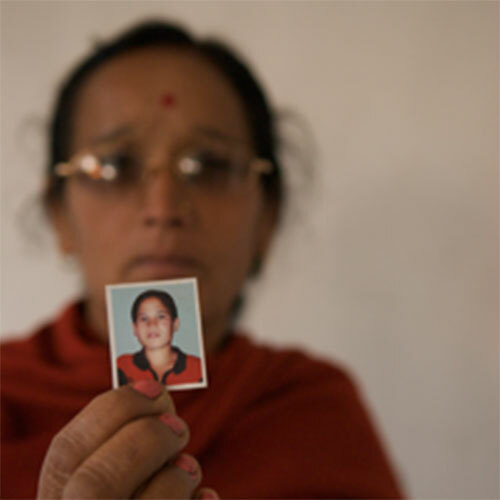 On 12 February 2004, Royal Nepal Army soldiers dragged a 17-year-old schoolgirl, Subhadra Chaulagain, from her house in the middle of the night. She was questioned outside over a period of several hours, and finally shot in the head and stomach at point blank range and in front of her father. The soldiers kicked her body and then proceeded to brutally beat her father, leaving him for dead. Subhadra Chaulagain’s family reported the crime to the police and the Chief District Officer, but no action was taken. Following an investigation, Nepal’s National Human Rights Commission found that Subhadra Chaulagain had been unlawfully killed and demanded an investigation and compensation. In the face of continued inaction, Subhadra Chaulagain’s family then took the case to the Supreme Court, which ordered an investigation to be carried out, but again this was ignored. In December 2010, Kedar Chaulagain, Subhadra’s father, filed the case with the Human Rights Committee, represented by non-governmental organisations Advocacy Forum and REDRESS. The Human Rights Committee decided the case in October 2014. It found Nepal’s failure to investigate the violations committed against Subhadra Chaulagain, including her arrest, beating and killing, was in violation of international law, as was the beating of Kedar Chaulagain and forcing him to watch the execution of his daughter. The Committee recommended that Nepal carry out an effective and complete investigation of the facts and prosecute and punish those guilty. It also recommended that Nepal provide full reparation, and appropriate measures of satisfaction, to Subhadra Chaulagain’s family, and avoid similar violations in the future. In addition it is required to translate the Human Rights Committee’s decision and distribute it widely. Subhadra Chaulagain’s family has only been provided with a small payment of “interim relief” provided to all victims killed during the conflict. Provisions allowing for immunity of officials have not been removed from Nepali law. The Government has translated the views but these have not been disseminated beyond publication on the website of the Prime Minister’s Office.